McDonald’s has instituted a turnaround plan involving burger customization that may impose up to $125,000 in new investment costs on already struggling franchisees, according to the Wall Street Journal. The $125,000 price tag for McDonald’s burger customization program follows renovations undertaken by about half of McDonald’s restaurants in the past decade, which cost participating franchisees upwards of $650,000. The capex requirements exacerbate the combination of falling sales and rising payments to McDonald’s that have been hurting franchisees’ bottom lines. According to the Journal, McDonald’s operators are having difficulty meeting the company’s financial requirements, such as maintaining certain cash-flow-to-debt ratios. All but one of 14 allow the franchisor to impose capital expenditures on franchisees during the term of the agreement. Only one of the 14 systems includes any limits on or estimates of the costs of these investments, and that system, Jackson Hewitt, recently doubled the limit from $12,500 to $25,000. 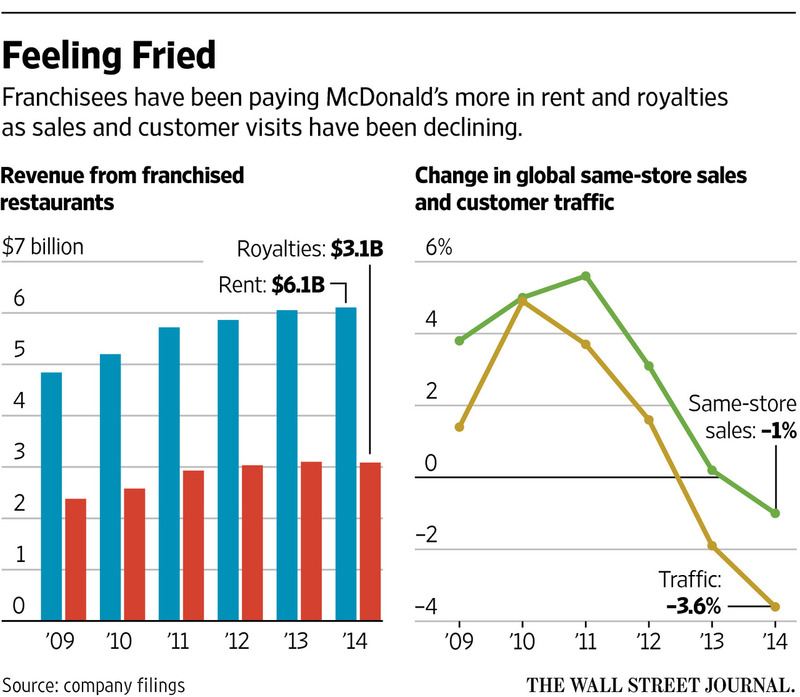 Capex requirements are affecting franchisees across industries. A recent national poll found that 58 percent of surveyed franchisees reported being required to make major capital investments. The largest share of those, 49 percent, did not believe that the investments had improved their bottom line, according to the survey, conducted by FranchiseGrade.com, a leading market research and analysis firm for the franchising industry, and commissioned by Change to Win, a labor federation that includes SEIU.